What should be the ethical constraints on nanotechnology? 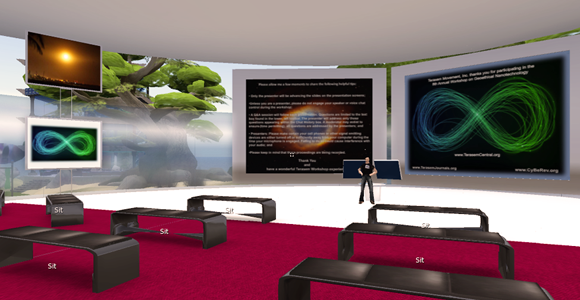 That question will be addressed today in the Terasem Movement’s Virtual Workshop on Geoethical Nanotechnology in Second Life, open to all. The workshop is an exchange of scholarly views on uses of lifesaving nanotechnologies, including the impacts on people, accessibility, monitoring compliance with ethical norms. The workshop will be held today, July 20, 2012, 1PM — 4PM EDT (the 43rd anniversary of the first lunar launch) and is open to all. To participate: go to the Terasem Island Conference Center in Second Life (SLURL). Please see this help article if you need help. Proceedings will be archived afterwards online for free public access.